Conquer the realm and bring honour to your clan in Battle for Rokugan! This turn-based strategy game of conquest and mayhem puts players in the role of Rokugan daimy? struggling for control over the rich land of the Emerald Empire. Leaders must balance their resources, plan their attacks, and outwit their enemies to ensure their clan's victory. The land is there for the taking. The most honorable daimy? will win the day! In the early days of the Emerald Empire, seven honorable clans battle for dominance over the rich land of Rokugan. Only one can rise above their rivals and become the leader of the realm. 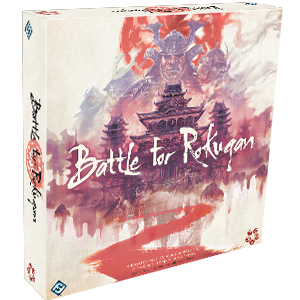 Designed by Tom Jolly with Molly Glover, Battle for Rokugan is a game of conquest and mayhem that turns two to five players into the mighty daimy? who must use their strength, cunning, and strategy to gain control of the region and bring honor to their clan. Lead your people to glory; the land is yours for the taking!